There’s something undeniably stylish about tinted windows on a car. Let’s face it, it’s just cool! But did you know that tinting also provides a few handy safety features? Beyond making it harder for would-be thieves to peek at what’s in the back seat, car window tints provide additional protection from UV rays. That’ll also help keep your car’s interior looking great, too! What’s more, tinting helps keep the heat out in the summer, saving you from roasting on sunny days. And in the event of an accident, window tint films help hold glass together, saving you from shards of flying glass. That also makes it harder for a thief to smash a window in. But the number of tinting materials and options on the market can make it a challenge to sort through. That’s why we’ve put together this guide to help you pick car window tinting in Ottawa! 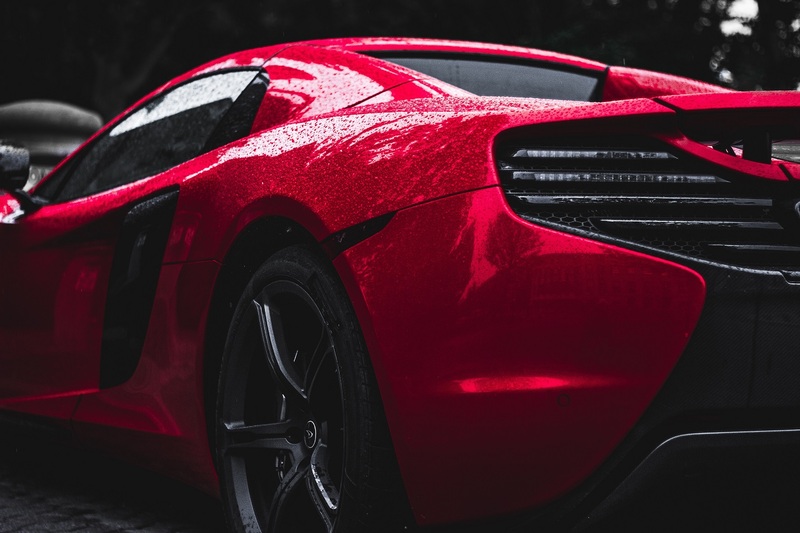 So whether you want to improve your car’s appearance, safety, or both, consider these options for professional car window tinting in Ottawa to help you choose the right tinting for your vehicle. First things first: when you’re buying from a reputable dealer, you’re getting consistent quality in terms of product, regardless of price point. There are, of course, some fantastic options at higher price points, but you’ll still get to enjoy a range of benefits at lower price points, too. As a rule of thumb, you can expect serious longevity and aesthetics at the top of the price range. Lower-quality tinting still gets the job done, but might not last quite as long. They’ll still last a few years before they need a replacement, though. It’s a trade-off, and one you’ll have to consider when choosing a tint. Drop by your local car components shop for an estimate on window tinting. This isn’t a job you want to DIY! We highly recommend getting the tint applied by an expert. While you can save a few dollars by handling application yourself, if you’re not experienced with window tinting you should definitely leave this job to the pros. Professional tinting is worth it for that sleek, clean, professional look for your car. If you’re going to upgrade your car with window tinting, you might want to consider UV-reflecting film for added protection from the sun. UV protection can block up to 99% of UV rays, keeping your skin and your car interior safe. Prolonged exposure to UV rays puts you at risk of sunburns and (as a worst-case scenario) skin cancer. These rays also heat up the car’s interior, making them uncomfortable in summer months. Constant sunlight might also affect interior materials, subtly lightening or darkening certain tones of fabric or dash material. Car interior materials may even show signs of cracking over time when exposed to direct UV rays. UV-safe window tinting can help preserve your car’s interior for longer, keeping it looking good and preserving resale value! It’s important to familiarize yourself with your province’s window tinting laws for your type of vehicle before choosing tint shades. Professional car detailers know the extent of these laws and help you decide which shades are best for your car. These laws are in place to ensure road safety. At no time should a driver’s view of the road, surrounding vehicles, cyclists, and pedestrians be obscured. So lighter window tinting is recommended for the driver’s side and rear windows. Also, police should be able to clearly see a driver’s face in case they are involved in an accident or a crime. A police officer may also notify drivers if they feel the car window tints are too dark. Ontario’s Ministry of Transportation recently changed tinting laws for passenger vehicles manufactured on or after January 1, 2017. For these vehicles, both the windshield and front windows (to the right and left of the driver) must have a minimum 70% luminous light transmittance. Dark or Limo Tint—for the most privacy and excellent heat rejection. While a limo tint may be appealing, remember to consult with professional car experts about the provincial tinting regulations for your type of vehicle. Once you’ve upgraded your car with window tinting, avoid opening and washing the tinted windows for at least three days after installation to ensure the tint film is fully dried. Any moisture exposed to the edges of the tint before it dries may go under the film and cause bubbles to form. You may, however, wash your car during this time since the tint film is only on the interior side of the windows. When you clean your windows, use a soft paper towel or cloth and an ammonia-free cleaner. Aside from improving the look of your car, window tints can protect you and your vehicle from heat, sun damage, and hazardous broken glass. So if you’re interested in upgrading your car, consult with the experts in car window tinting in Ottawa for help choosing the right tint shades for you and your vehicle!